Make sure to drop by the DOMINO table at this years Brooklyn Comics and Graphics Fest, happening tomorrow from 12pm to 7pm! 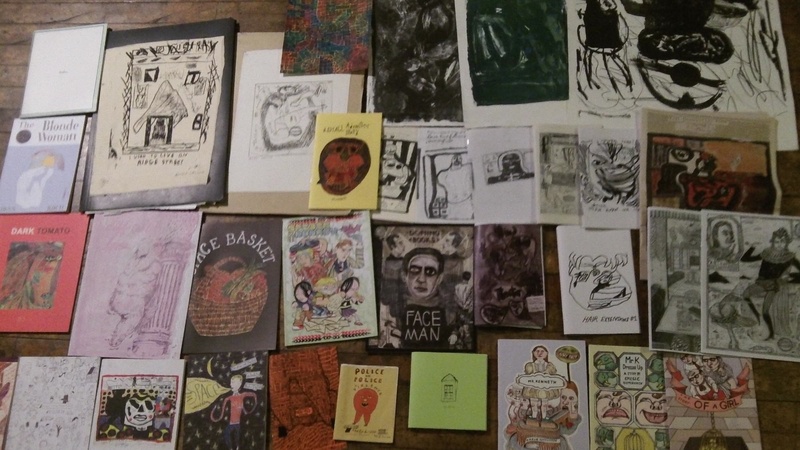 Pictured above is just some of the books we’ll have available at the table, including Face Man, Space Basket and a slew of hard to find art books and zines from Sweden, Montreal, and all over the globe. 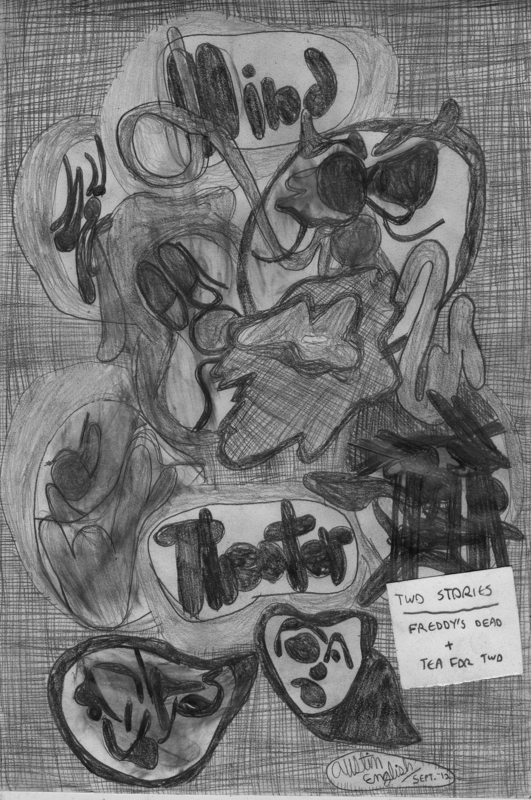 We’ll be debuting a new zine by Austin English called MIND THEATER. It collects the stories ‘Freddy’s Dead’ and ‘Tea for two’ in one handy edition. 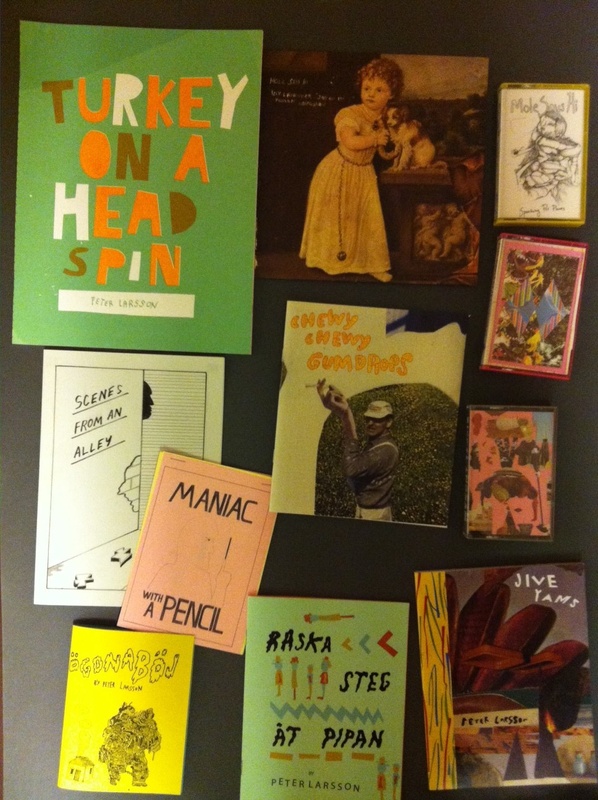 Swedish artist and animator Peter Larsson will be at our table as well, selling all of the great zines and art books pictured above. 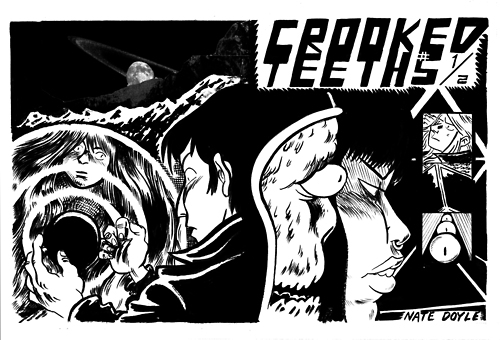 And don’t leave the table before picking up Nate Doyle’s brand new comic Crooked Teeth #5.5—been waiting for this one for a while!